Critical Cycles hand builds their fixed gear road bikes precisely for commuters and biking enthusiasts. With a tig-welded frame, horizontal dropouts, and components that are best used for riding around town or performing bike tricks on the street, the “Fixie Urban” road bike is a standard single speed that is anything but standard. This road bike is available in three frame sizes and in more than 10 colors, making this model from Critical Cycles one of the most diverse bikes available for a multitude of riders. The Fixed Gear Single Speed Fixie Urban road bike by Critical Cycles comes in: 43cm, 49cm, 53cm, 57cm, and 60cm size frames and there are more than 10 colors to choose from, making this an excellent unisex bike with a diverse selection of designs to choose from. The Fixie Urban road bike includes a flip-flop hub, so the rider can utilize this bike as a fixed gear or to easily switch the cogs and use it as a standard single speed. This well-made bike can handle the roughness of the road including potholes and asphalt with the Wanda tires that are optimized for use in the city and on the road. This road bike contains excellent components that most other road bikes do not use, especially considering the price and caliber of this bike. Critical Cycles uses Protek cranks, KMC chain, a Sunrun front wheel, Promax brakes, and Well-Go pedals, making this bike a dependable and reliable daily bike for commuters and city riders. The size of the wheels is 700C, and the tires are size 23, which is equivalent to an ISO size of 23-622. At a weight of 25 pounds, this is a solid but lightweight bike that is just below the standard weight for a road bike of this type. Too light of a bike can make it feel and ride cheap, and too heavy of a bike makes it unwieldy and awkward—at 25 pounds and including higher quality components, this Fixie Urban road bike is just right. 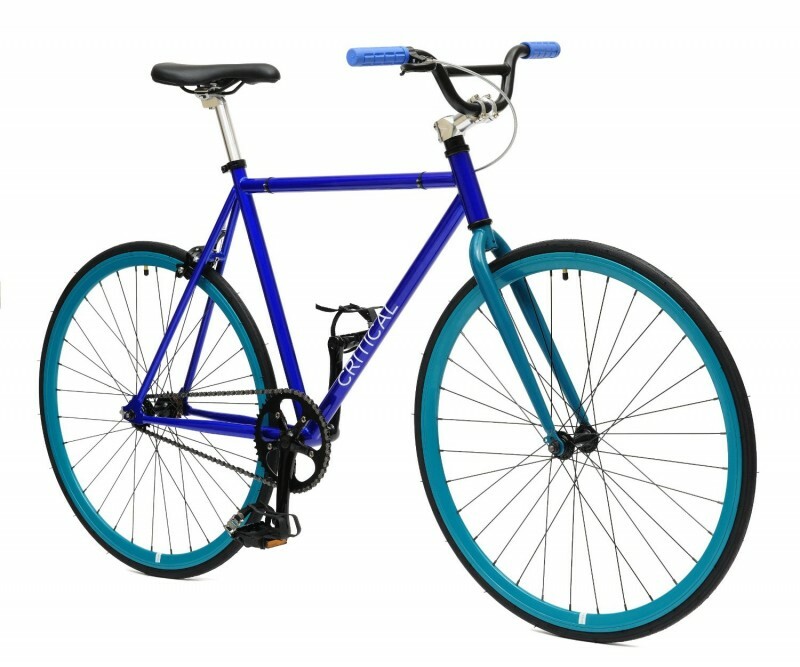 This road bike has many excellent aspects, including the price, the components, and the variety of color options that can be chosen from—whether you prefer a solid look, a neutral style, or a bright and loud color scheme, the Fixie Urban Road Bike has it all. The price of this bike is pretty incredible. 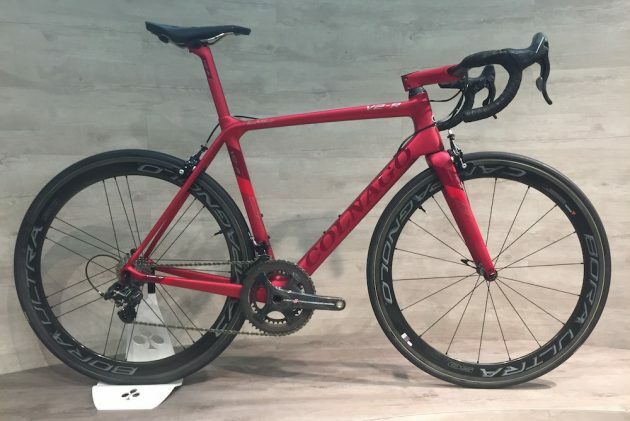 Ranging from $219 to $290, depending on the size chosen (most sizes are actually $219), this road bike was expected to be of lower quality and lesser features. However, this was not the case. With the brand name components used, the solid steel frame, and various frame sizes to choose from, this bike has a higher end design than nearly any other bike in this price group. The features as seen above, including the Flip-Flop Hub, hand-built Steel Fixed Gear Single Speed Track Frame, Flat Top Tube, and Horizontal Drop Outs, complement the other functions and features this road bike contains. This is an overall excellent bike for beginners, casual commuters, casual freestyle riders, and anyone looking for an inexpensive bike with component parts that are better than bikes more expensive than this model. You can chose from 5 sizes, so men and women alike will find the perfect fix; and there are 10 colors to choose from, as seen in the tech specs above. 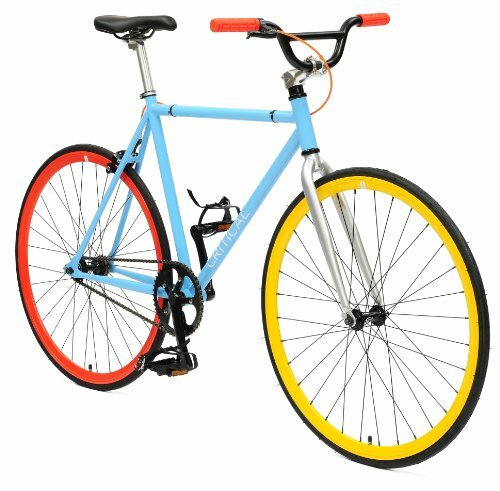 Some of these colors are neutral, such as Matte Black and Tan, while some are very bright and promote visibility and personality, such as the Light Blue and Pink/Celeste (which contain bright frames and bright tire colors (the Light Blue model has a bright red rear wheel and a bright yellow front wheel). 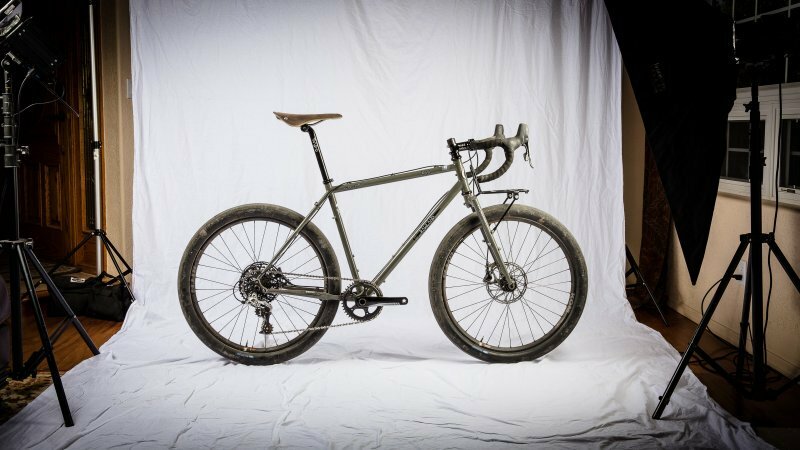 No matter what your style is, you will find it with this bike by Critical Cycles. One complaint, which is not only common but standard with nearly every road bike under $500, are the quality of the tires. This model uses Wanda tires for the 700C size wheels. Some riders may find these tires perfect for riding, while some who may bike more or in rougher areas may find them to be too thin. It is a matter of personal preference, but regardless of yours, these tires are more than capable of withstanding road use and will last for well over a thousand miles without issue in most cases. The highlight of this Fixie Urban Road Bike is where this model shines and separates itself from other, inferior road bikes. The components used in this bike are name brand rather than cheaply made casts typically used in other bikes during manufacturing. Other bikes use cheap aluminum or steel for their components and there are often issues with gears grinding, poor shifting, braking problems, etc…however, Critical Cycles does not make this mistake. They use components from Neco, Wanda, KMC, Well-Go, Protek, and Pro-Max, ensuring a better quality in their bicycles than others. 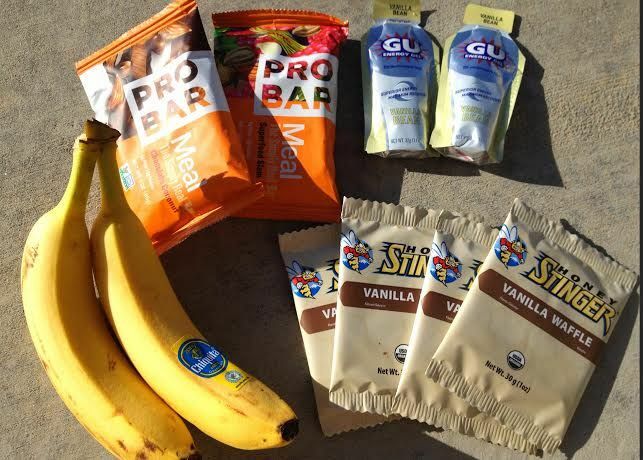 The functionality of a road bike has everything to do with the components used and materials that the bike is made from. 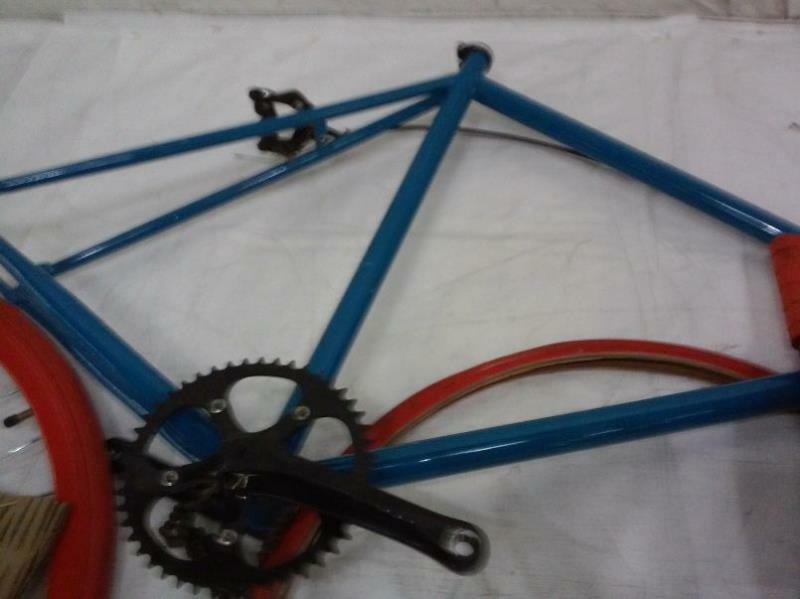 This Single Speed uses a hand-built steel frame, a lightweight alloy chain wheel, and brand name components for the headset, bottom bracket, chain, pedals, brakes, and crank. This makes the functionality of this bike superior than others in its price range, and even road bikes that are a couple hundred dollars more. Critical Cycles has done a very fair job of using good materials to build this affordable road bike. The fixed gear works as it should and the flip-flop hub allows for this bike to also be used as a single speed bike as well. Depending on what size frame you choose, the Critical Cycles’ Fixed Gear Single Speed Fixie Urban road bike can cost you anywhere from $219 to $290 on Amazon. The impression that makes the most impact after viewing the components, functions, and features of this road bike as well as the price, is how well-made this bike is for the price. Using well-known and higher quality component parts from Protek, KMC, Neco, Pro-Max, and more, Critical Cycles has put together a great road bike for commuting, city riding, and other single-gear or fixed-riding. You would not expect to see a bike such as this for under $300, however, the price is low and the quality has not suffered. This bike has been rated very well by riders who have used it for thousands of miles without issue. Some riders state that the Wanda tires are thin and for more than casual users, it may be a good idea to replace the tires with their preferred type and brand. However, this is the most common issue among all road bikes on the market. The tires that do come with the bike hold up well for hundreds if not thousands of miles of use. 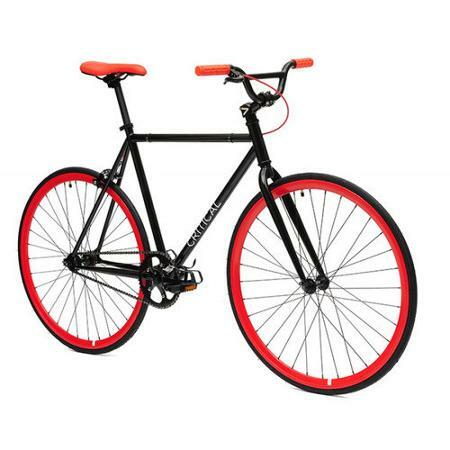 The rating for this Fixie Urban Road Bike by Critical Cycles was not difficult to come by. The price of this unit is incredible, costing merely $219 for most sizes, and at the most only $290. The quality is much better than other road bikes for the use as a commuter and casual bike. The brand name components and steel frame are much better than the cheaper aluminum frames and cheap components used in other bikes. The design of this Fixed Gear Single Speed road bike is surprisingly versatile. You can choose from a variety of colors such as a regular matte black or tan; or you can brighten things up by choosing a multi-colored and highly visible option which includes colors such as bright red, yellow, blue, pink, and celeste. The overall quality of this bike for the price is one of the better ones on the market today and it is highly recommended for beginners and casual riders and commuters to give this model a try.